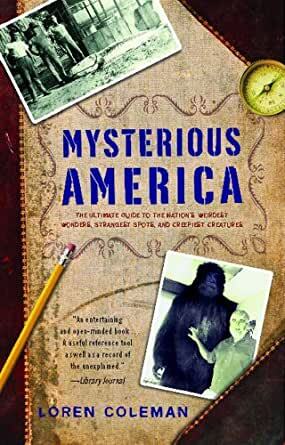 "An entertaining and open-minded book...A useful reference tool as well as a record of the unexplained." Coleman is as engaging in print as he is in person. With his scientific background, he examines each case with professionalism and diligence. He writes in a most enjoyable style! I had this book before but I had to put it behind when I left one state to move to another. It arrived on time in a secure package and the book is well written. It is full of stories I have ever heard before. I recommend this book highly. I really enjoyed reading this book because Mr Coleman does a wonderful job of writing. He just does not say here but look at this evidence and this report and build from there. I was recommended this book and it's a fun read. Book came in perfect condition and quickly too.